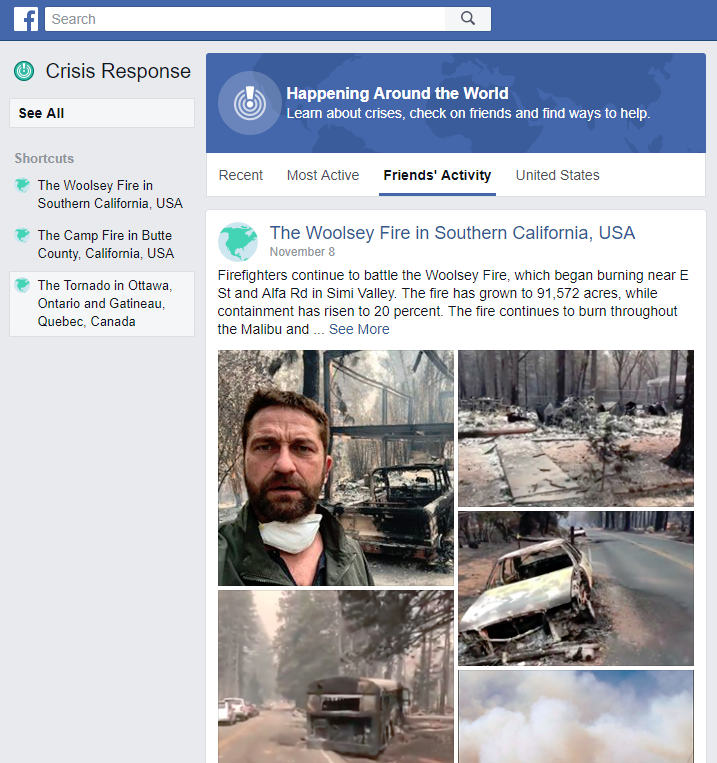 With wildfires still raging out of control in California, this seems like as good a time as any for a little refresher on one of Facebook’s most useful features: Crisis Response. First, Facebook activates a Safety Check alert when it identifies an event that could put lots of lives in danger. Everyone in the Safety Check area gets an alert and can mark themselves as okay with an “I’m Safe” button. 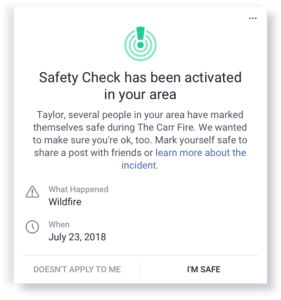 You’ll see “I’m Safe” alerts from friends on your Facebook news feed, but you can also manually check in on people who are in the area from Facebook’s Crisis Response page. The Crisis Response page is very easy to use. It lists all events that are still ongoing and clicking on each one gives you a rundown of what is happening as well as a list of your friends or family that are in the area. A map shows the area affected and a news feed with verified reports is constantly updated so you can see the latest developments. On the top bar of the Crisis Response page there’s a tab called “Friends’ Activity” which filters out all the events and shows you just the ongoing crisis alerts that affect people you know. It’s the easiest way to see how friends are doing and since the list is always updated with the ones that already checked in as safe it’s a great way to get some piece of mind in the middle of an emergency.